I favor a populist approach to travel. I’ve never been anywhere I didn’t like, so why try to pick the top tier? Love ‘em all! After visiting Trinidad for six days in March, though, I’m going out on a limb to proclaim that I may have encountered the friendliest people I’ve ever met on this planet. Really. Let me tell you about the day I went to the beach. After being taught which way to stick out my finger by the lady in the furniture store on the corner, I flagged down a shared taxi and jumped in. The sports updates were just drawing to a close on the radio; I faked righteous indignation and quipped, “They forgot the ice hockey scores.” This brought belly-jiggling peals of laughter from the driver and my fellow passengers. What’s more notable is that it wasn’t the first time I’d been made to feel like a comic genius since arriving. At the bus station, I stopped at some market stalls to look for nuts. When I couldn’t locate any, I entered the terminal, but not without being asked by the security police if there was something they could help me find. A few minutes later, as I waited near the departure bay, a dreadlocked man in a dirty polo shirt approached me. “You looking for nuts?” he asked, pulling a selection out of a crossbody bag. I purchased peanuts and almonds before taking a second-row seat on the 8:30 bus to Maracas Bay. It wasn’t your average public bus, though. This was a luxury coach, with velour seats and air conditioning. A dapper elderly man sat in the front row on the opposite side, and a middle-aged woman directly in front of me. As passengers boarded, many paused to exchange exuberant greetings with either one or both of them. It was like being at a family reunion full of people who actually liked each other. 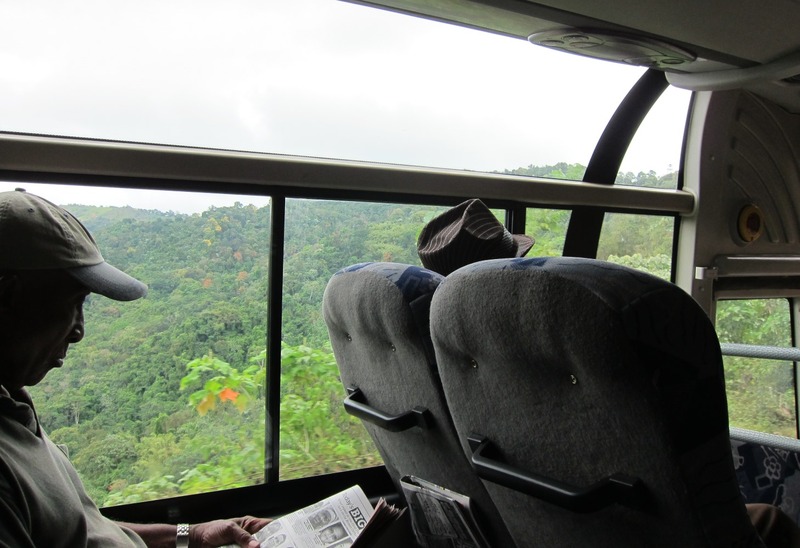 I asked the bus driver how long it took to get to Maracas, and he replied, “Not long.” It turned out to be a visually stunning 45 minutes, full of winding roads and lush mountain landscapes. Several of the people we picked up along the way sat in the front to visit with the gentleman for a bit before making their way to the back, and he was happy to hold court. Dressed in a brown pin-striped three-piece suit, his lapels were adorned with political party badges and he wore a medal around his neck. His brown fedora had a lime green feather coming out one side, and he carried a large briefcase. On top of his suit, he sported a neon orange safety vest. A character, indeed. Intrigued, I decided I wanted to visit with him, too. When I moved up a row to occupy the seat next to him, he’d dozed off. “Just touch his arm, he’ll wake up,” the lady opposite us said. I did, and he did. We had a lovely visit, of which I plan to write about at a later date. Rain came down within 30 minutes of my arrival at the beach. I didn’t want my backpack to get soaked, so, despite a sign that read, “Lifeguards Only,” I ran into the hut. The lifeguard joined me there after a spell, not at all bothered by my camping out. In fact, he taught me how to spot rip currents. I took shelter in his hut three or four more times that day before giving up hope that the sun would stay put and going across the street to get lunch at Richard’s Bake and Shark. 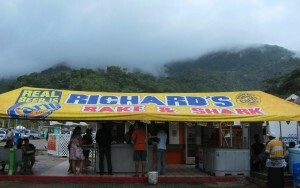 Somewhat of an institution in Maracas Bay Village, other bake and sharks have popped up around it, but I’m partial to Richard’s because they gave me a gigantic piece of shark to taste before I ordered. And just what is bake and shark? 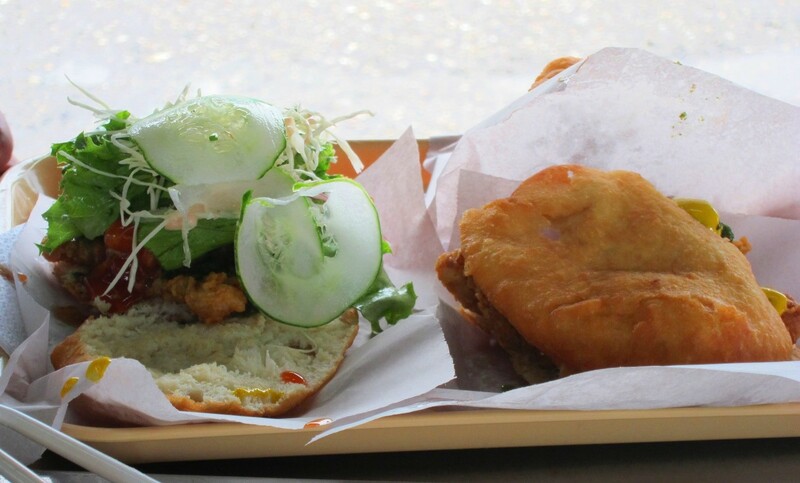 It’s more than a fish sandwich, it’s a delectable treat. You build your own, and can add tamarind sauce and coriander sauce and veggies galore. Totally delish. “But the next one doesn’t come for four hours!” one of the women said. She stood in the doorway of the bus and negotiated on our behalf, and the next thing we knew, she was waving us all over to board. The first on, the woman handed in her ticket and exclaimed “Thank you so much for not leaving us out there!” Then she hugged the driver. I was next, and thought, “What the heck?” I hugged the driver, too. When some students got off down the road, we found seats at the back. A jolly drunk boy in the last row provided the entertainment, singing practically the whole way (until he had to get off to urinate in an empty parking lot). Back at the bus terminal, I chatted with the driver for a couple of minutes before leaving, then crossed the street to the shopping district. Every time I left a shop, even without purchasing anything, the sales staff were just as friendly to me as when I’d entered – “Thank you, bye, enjoy your evening!” In the end, I bought only souvenirs, even though I dreamed of being 19 and six feet tall so I could have purchased these sweet kicks. As it was my third day on the island, I’d already stumbled onto the ‘must walk’ street on the route from downtown back to my guesthouse; the happy path, one might say. Because just in case I wasn’t feeling welcome enough in Trinidad, or had a case of the blues (is that even possible in the Caribbean? ), there were these two fellows (later, their owner let out a third to come join the party), possibly the friendliest security spaniels in the world. There I go again with the favoritism. I may just have a little crush on Trinidad. I think the friendliest dogs in Trinidad knew they were meeting the friendliest Canadian now American in the world :)) Besides the unique experiences you have have in all the places you visit, what I love most about your posts, Laura, is how you visit every single location with your natural warmth and your open heart. Your travel posts always make me smile! That brought the biggest smile to my face. Thank you, Jo-Anne, for starting my day with your warmth! You’ve made me feel like I was right there with you; can you imagine me in that part of the world in 1963? Ah, but they’d be too nice to arrest you, Ken! Haaa! Thank you for reading. You have such a gift for painting in all the little details to give us a sensory glimpse into your travels. It’s almost–almost!–as good as tucking us into your bag and taking us along for the journey. I love how you approach life with such courage and such a willingness to meet people on their own terms. Thank you, Kern! You are very kind. I feel quite thankful that I’ve had such great experiences with people when I travel. Except for the time when a taxi driver in Turkey dropped my backpack into a big oil puddle and I *accidentally* punched him (my fist flew before my brain could stop it). But most of the time, it’s goodness! See you later, tater. I think all we Trinis are really happy to hear that you had such a great time here, thank you for your kind words 🙂 I leave for Turkey on Saturday and LOL when I read this comment! Note to self… Be mindful of Turkish taxis and oil! Much Thanks! Hi Ezra, I am just so blown away by all the wonderful follow-ups I’ve had to my post, yours included. It really just speaks volumes about the warmth of the Trini people and culture. I hope you have a fantastic time in Turkey! The oil puddle incident happened in 1989 and I returned there in 2011. It has changed a lot, and all for the better. If you have an adventurous palate, you will really enjoy the food. Happy travels! I agree with Kern Laura. I love your openness to talking to the “characters” you see and how you communicate the dynamic between you and people in other lands. Cracks us all open a wee bit more and that’s what it’s all about! I had a next-door neighbour in Switzerland who was from Trinidad. Miss her loads – she was an uber-friendly person… still is! Better to crack open than crack up, right? It’s so sweet that I got to be the thread that created a communication between you and your friend — as you can see, she left a comment too! Thank you for sharing my story, Kendall. Maybe the two of you should meet up again in Trinidad! My dear friend from Banff just shared your article with me. I am a Trinidadian, living in Switzerland. Wow! It was a pleasure reading your post, brings back fond and vivid memories of my childhood on the island…I could even “smell” the bake and shark, and taste the saltiness of the beautiful Maracas waves crashing on the shores. Wish I could jetaway there right now! Hope you had the opportunity to visit our ‘sister isle’ Tobago. I’m so happy to ‘meet’ you, Zalina! And thank you for your kind words, I’m glad you felt I did Trinidad justice in my descriptions. I did not go to Tobago, and instead decided to save it for a return trip, but with my husband the next time. Please let me know, I have a wonderful guest house to recommend, plus my ‘husband’ does the jetski and one of the glass bottom boats there. Oh how I love my sweet T&T. You need to experience Carnival too. Thanks for the wonderful review of our beautiful Twin Island Republic. Hi Narka, I’d definitely love to hear about the guesthouse. Recommendations are always appreciated! 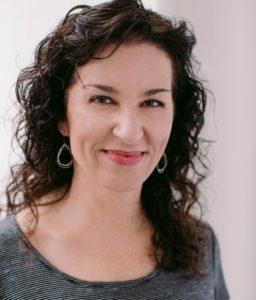 I’m so glad you are having some fun with this blog post, your joyful energy is infectious — I can almost feel it through the computer! So pleased that they have that effect! Hugs to you. Lovely post, Laura! So now I have to add Trinidad to the list of places I have to visit before I die – sounds just wonderful! Thanks, Debbie! Yup, it’s a great place to have on the list. And there are lots of fun things to do there, it’s not just all about the beach. Visitors can have the best of both worlds. Ms. Debbie, just buy your ticket a year in advance! Caribbean Airlines gives you 2 bags @ no charge and if you a bit over weight smile and tell them is your 1st time and to please give you a bly (pass). Hi Kay, I love hearing about stuff like that. It’s what makes people real, and we need more real in this world! Thanks for sharing. You have me cracking up here. That’s how we do! Honestly, that’s what I miss most about my homeland. You have a headache – drink some rum, you have no sugar – go by yuh neighbour and borrow some, your partner unfaithful – planass (beat them with the side of a cutlass after dragging it on the ground and making it spark) him/her, then go by the rum shot and take ah drink! That’s just us. Life is too short. Be blessed! I can’t even begin to explain how *hilarious* the image of dragging a cutlass on the ground to make it spark before using it to give whatfor to your mate is to me as a writer. I love it. It’s great, Narka! I’m totally cracking up. Yup, and they were all great days there, even if nothing much happened. The energy is so good. I really enjoyed your story, Laura. I felt like I spent the day with you in Trinidad. Thank you for the wonderful daycation. That would be fantastic, Lauren, as I definitely plan to go back. Thank you for the offer and I’m glad my post made your heart happy. I love it when you meet friendly locals and have sweet and wonderful conversations and experiences with them. You, it seems, create that situation wherever you go. Your friendly spirit must extend an aura around you that people can feel. Thank you, Jagoda, and I hope what you said is true. What happened in Trinidad, though, was also largely due to the people there. They drew extra friendliness out of me, because they were so friendly. It would have been impossible *not* to be friendly. We are glad that you had such an enjoyable visit to sweet T & T and that you got a taste of Richard’s infamous bake and shark. Hope this was not your final visit. Thank you for your warm wishes! The wonderful feedback I’ve had from the T&T community will definitely bring me back. What a fabulous article! I am a Trini and also used to enjoy taking buses to random parts of our island! Thanks for sharing this experience with the world! Hi Lesley-Ann, so nice to meet you, and thank you! Speaking of bus trips, I think the PTSC’s Know Your Country tours are such a fantastic idea, and the prices are very reasonable. I took one to La Vega while I was there. Maybe I’ll write about that, too! So happy you had such a great experience here! You should come for Carnival at some point. And Ray is right, you will absolutely LOVE Tobago! You know, initially the idea of the crowds at Carnival frightened me a little bit — I can get overwhelmed sometimes — but given how cool people are, I’m interested in experiencing it. And Tobago, definitely. Thanks, Dani, I’m so glad you stopped by! Uh-oh, is that a no-no in nature conservancy parlance? I have never been out of Canada, and probably never will and that is why I enjoy reading your blogs. It takes me there. Thank you. Hey Debbie, happy to provide a little ‘escapism’ and thank you for reading! As a resident of sweet TnT im truly honored that you would write such a beautiful article about my country! Thanks alot and happy travels! You’re welcome, Lennox, and I appreciate that you took the time to read it and let me know. Best to you! LOL! “Mr. Three Piece Suit” — that’s great, Tash! I’m glad you enjoyed the post. It came from my heart, truly. I’ve been to a lot of places and Trinidad has some special things going on. What a great post about my home country of Trinidad and Tobago (even though you only visited Trinidad). Very glad you had such fun, and were able to experience the friendliness that many Trinbagonians naturally exude. You must come back and visit for Carnival sometime. Thanks so much, Shells! Will definitely come back — definitely!! — and I’ve bookmarked your blog. Some great links on there. Ohhh cool re bookmarking my blog (now you’ve made me guilty bout neglecting my poor blog). Now that exams are over I’ll hopefully post some new entries. Thanks! And happy studying to you! Hope you aced your exams. Those are such kind words, thank you very much, Tonya. I’m glad you found me, too! And welcome! As for my next trips, I have plans for Costa Rica, Cambodia and Antigua — Antigua is the only one that is booked so far. It’ll be my Xmas vacation with my hubby. I’m hoping to go to Costa Rica next, in the early fall. Do you also have a passion for travel? Thank you Laura! 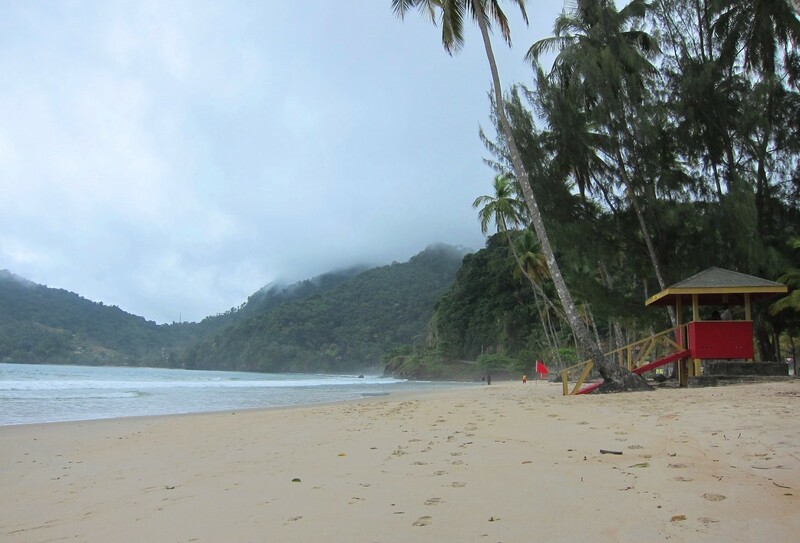 Great piece of writing there….. I’ll be heading ‘home’ on December for a couple of weeks and am looking forward to sailing, Maracas and bake n shark. Best thing of all, seeing my awesome grandmama! Aw, your grandmama will be so happy that you’re going home for a visit! Thanks for your kind words, Andre. I wish you safe travels! Laura – as an American (a Midwesterner from the state of Indiana) living in Trinidad (I married a Trini), I found this to be such a fantastic portrayal of Trinidad. Americans can sometimes wear blinkers and as a culture, we are so quick to silo ourselves into groups of race, hues, shapes and sizes. It’s true. We’re notorious for doing it, even though we hate to admit it. Anyhow, I’m an editor in chief of local people and lifestyle magazine called MACO People Trinidad. Our publishing house also publishes MACO Caribbean Living, another publication that would interest you. I like to describe it as the Architectural Digest of the Caribbean. Check it out, and make sure to check out our MACO website, which has everything you would ever need to know about where to stay, eat, and play in the Caribbean. Ms. Sabga, I really appreciate what you said here and I’m looking toi maco MACO on fb. Be blessed! Yara, thank you for the lovely feedback. From the comments and emails I’ve received, I’m definitely sensing that the Trini expat community is really plugged in. I’m glad there are so many Trinis all over the world so they can spread some of their magic. And yes, people’s overall comfort with one another is a great way to describe it, especially when you contrast it to how we’ve evolved to interact in North America. I visited the MACO sites. Very interesting about the MACO Caribbean Living as my husband Francis is an architectural photographer! I will definitely share it with him. I’ve also already found a handy destination guide on the MACO site for Antigua and Barbuda — I’ll be going there with Francis later this year. Can’t wait to come back to T&T, though. All the best to you, Yara. Laura, with so much negative press surrounding us, it was absolutely refreshing to read your positive and refreshing take on our island! I absolutely don’t understand the negative press, Michelle. Just before I went, a colleague forwarded a link about a HuffPost article that named T&T as one of the 10 least friendly tourist places on earth, along with Chad and Pakistan, among others. I couldn’t believe it! And I’m definitely happy to share my great experiences as a balance to that undeserved ranking. Thank you for stopping by, Michelle! Such a wonderful description of my homeland Laura..thank you! Its one thing to know what makes my island special, but quite another to see it so beautifully described by a complete stranger..your attention to detail is remarkable too! I very much appreciate your kind words, Jeanine. Thank you for reading! The response to this post has been enormous, Great work Laura. I too am Trinidadian and visit Canada a few times a year. Being a citizen, you tend to not notice the little things we grow accustomed to here in Trinidad, your fresh perspective is heartening and I do hope to read more of your adventures. Thank you for visiting our little corner of the world, and for loving it. Guess it was a bit hard to read, in Dutch? 😉 I don’t know yet, back home at the moment, no idea what the future will bring…hopefully some sun! Google Translate helped a lot! As a native Trini I take a bow..thank you..most our days are exactly what you described..good food,drink and people who make it worth the smiles that we exchange..I am the manufacturer of a Local hot sauce called ‘Mudda n Law’ Chadon Beni Peppersauce..next time you are here make sure and pick up a bottle..better yet give me a call from the number on the bottle..would love to chat with you..thank you again,it was an honor having such a positive person as yourself on our shores! Hi Veeda, thank you so much for leaving me a note on my post. I love the name of your hot sauce! Just found your Facebook page and I’ll make sure to get in touch when I come back. Have a great week! I felt very proud reading your wonderful travel experience to Trinidad. I was elated with national pride that your encountered such an amazing experience with the people, the food and the beauty of our island. WE will make you feel right at home and safe! You can check out my website I do little stories on places of interest to visit while in Trinidad also I design beautiful T-shirts. Your story inspired me to start a campaign …called Trinidadians can accomplish greatness !! Thanks, Dana. I’m so glad you enjoyed my post. I did a quick tour of your website and have bookmarked it for future reference. I saw that you live in San Fernando — that’s the place where I ate my first Double Double! 😛 Again, thanks for your comment and all the best. Hi Elizabeth, thank you so much for your warm wishes and I really do hope to visit again. I loved reading all the good about my Country, i no longer buy the daily news as it’s filled with negative thoughts and to be quite frank….well i long for the times when T & T used to be nothing to fear, no wrought iron bars, no stalking guys with knives and now the weapons…guns…like if we have gone to the Wild West instead…..happy that you were safe and enjoyed the journey too…..God bless you and do come again….. Thank you, Marie. I have heard about some of the crime problems that have developed in the past couple of decades. Since I was traveling alone, I didn’t stay out late at night so happily, didn’t encounter any dubious activity. I will come again, definitely! Hi Laura. What a delightful description of my home. Us ‘trinis’ take our beautiful country for granted and there is such negativity — the crime, the health sector, the corruption and I can go on. But you came with open eyes and saw the simple treasures that we overlook. Thanks for reminding us how blessed we are. And you must come for Carnival! Much love, safety and blessings on your adventures. Cheryl, thank you so much for your lovely comment. It makes me very happy that my story brings out your Trini pride! I hope to come back soon. Peace and love to you as well! I’ve been in Ireland for almost a year and longing for a swim at Maracas beach and for a bake and shark 🙂 …Richard’s is my absolute fav! I’m glad you enjoyed my beautiful country and I hope your return trip is just as wonderful. Hi Joanna, I’m so happy I could bring back some good memories of home for you. May you get a chance for that Maracas outing very soon! Thanks again for giving the world a glimpse of the real, true Trinidad. Catherine, it was a pleasure for me both to visit Trinidad and tell the story about it. Thank you for reading! And I agree, keeping your wits and common sense about you will serve you well in any part of the world. There are very few places that are really, truly dangerous for visitors, and usually they’re the places that are in the midst of a raging civil war… . Just happened to stumble on this link and curious to find where these friendly people are located i clicked on it. Imagine my pleasant surprise when i realized this was about my homeland. I guess sometimes we ‘Trinis’ forget how nice we have it on this beautiful island. i realy enjoyed reading your article. I’m curious though, did you visit any waterfalls or even our sister island, Tobago? Thank you for your comment, Ismaeel, and I’m happy you stumbled your way here! I was not able to visit Tobago (that will be something for my next trip!) and as for waterfalls, I did hike to some in Suriname just prior to coming to Trinidad, but didn’t visit any around your country. All of these things are good reasons to come back! Glad you had an enjoyable experience in Trinidad! I am Trinbagonian and it is always nice to hear when we have been welcoming to our visitors. I hope you spread the message far and wide and we will do our best to welcome all who follow you to our shores. I’ll shout it from the rooftops, Nicholas! Thank you for stopping by and blessings to you as well. Hi Laura thank you for being in and enjoying my county and my people. You know we are portrayed as a crime ridden country who are unfriendly to tourists. Well ,Laura you limed with us and saw how we are. yes,there are many people here you would not want to meet just like we would not also. And a few idiots and negative random comments does not represent a country. I am pleased that you enjoyed yourself, please return. And when you do, come “down South”-we will treat you better (don’t tell the “North people” I say this. LOL. And we have less rain in South!!!LOLLOL. I did lime with you, Sterling! (I still love that expression!) Thank you for your comment, I think it sums things up pretty well — there are unsavory sorts in every country! I do hope to come back and visit all corners of the island, plus Tobago, which I didn’t get to the first time. I went as far south as San Fernando, and will make sure I get to the very southern tip of Trinidad the next time! Well Laura, I am a proud TRINI TO DE BONE as we say here and we pride ourselves on being friendly. I was so happy to read this and I learned something – I DID NOT EVEN KNOW THERE WAS A BUS TO MARACAS!!!! Well you live and you learn. I am so happy to know that you had an enjoyable time here. Next time you have to come for Carnival – THEN IS WHEN YOU WILL HAVE THE TIME OF YOUR LIFE Here is a little taste http://www.youtube.com/watch?v=Mj2OJy3MTYI (just a footnote: I appear in a red costume at :.38 in the video). Hope to visit us again soon. Yay, I’m so happy I could share something new with you about your own wonderful country, Leslie-Ann! That’s so great that you’re in the video (although tell them that next time you want a full five seconds! LOL!) and Carnival looks like such an amazing time. Thanks for inviting me back to Trinidad, I will take you up on that, I’m sure! Hi Laura, it was with great amusement that I read your article. So much of what you said is so true- the bus driver, the ‘ole talk in the bus’, the fully dressed ‘character’, the fantastic drive to Maracas and i could go on and on. I echo all the sentiments previously mentioned. I would however like to make a suggestion. If by nature you are a little intimidated by crowds and hesitant about visiting for Carnival , don’t push it… WHY NOT VISIT AT CHRISTMAS time??? Lots of special Christmas food- pastelles, black fruit cake, local ham , stuffing, Trini Ginger beer, sorrel, ponch de creme, etc; Added to that you have the traditional ‘parang music'( influenced by the Spanish° and numerous fetes and limes here and there. In fact it’s like a warm-up for the Carnival period but still moderate. LOLThe best way will be to hook up with some of your conatcts here and it will be a BLAST! Take care , you’re a great writer! Thanks for your kind words, Hyacinth, and I think Christmas is an excellent idea! (This year, my husband and I will actually be spending Christmas in Antigua.) I love the idea of a ‘Carnival warm-up’ — probably more my speed now that I’m “older than 40″… LOL! Best to you and thanks again for stopping by! Laura I am so happy for your post about TnT with all the negative press and all the nonsense going on I am happy that you had an enjoyable stay and thanks for sharing. Carol, you’re most welcome, and thank you for stopping by to read!